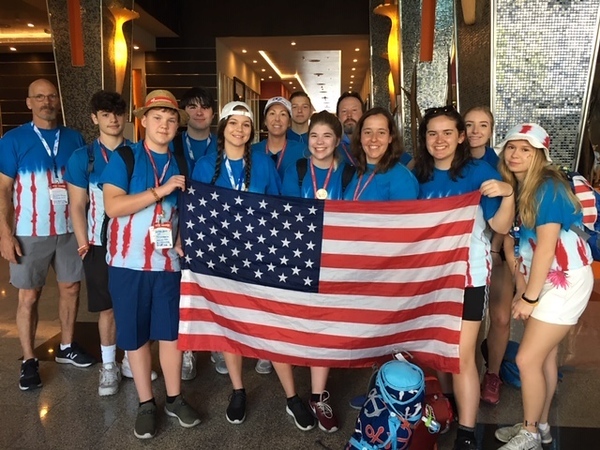 BRISTOL - The St. Stanislaus Church Youth Ministry returned from its World Youth Day trip to Panama on Tuesday, Jan. 29. According to the youth group’s director, Debbie Sousa, the trip was very exciting - once the group finally arrived! Everyone was stuck at Bradley International Airport for 14 hours due to the snowstorm on the morning of Jan. 20 before getting a flight to Washington, D.C., late in the evening, then flying to Panama on Monday, Jan. 21. The World Youth Day events started on Jan. 22 with an opening ceremony and a Mass celebrated by the Archbishop of Panama at Santa Maria La Antigua Field. On Jan. 24, the group went on a Panama Canal excursion, watching two ships pass through the canal’s locks.. They spent the afternoon at Biomuseo, the Museum of Biodiversity, and in the evening went to the English Fiat Festival of World Youth Day, where they heard guest speakers Bishop Caggiano of Bridgeport and Archbishop Baren of Los Angeles. Members of the group met and interacted with other English-speaking pilgrims and participated in games, singing and dancing to worship songs, as well as Eucharistic Adoration led by Cardinal Sean O’Malley of Boston. It was a beautiful experience, Sousa said, complete with a reunion of the previous year’s mission trip director, who was also on pilgrimage. Pope Francis was welcomed with a ceremony on Jan. 24. On Jan. 25, pilgrims participated in the Way of the Cross and on the following day walked 10 miles for a prayer vigil and outdoor sleepover. Next was an early morning outdoor Mass celebrated by the Pope at St. John Paul II Field, attended by 600,000 people. At the end of the Mass, the location of the next World Youth Day, in 2022, was announced - Lisbon, Portugal. Other activities the Youth Ministry participated in included a walk through the “garden of forgiveness,’ a vocations fair, and youth festivals. Panamanians greeted the pilgrims with joy and excitement, often beeping their horns and waving and clapping. One Panamanian woman yelled out “We are going to miss you!” as the young people walked around Panama City on their last evening in the country, Sousa reported. Sousa said the highlight of World Youth Day was seeing Pope Francis - several times. The Bristol ministry members were relatively close as he drove by in the Popemobile on the night of the opening ceremony and then again at the prayer vigil and the send-off Mass. 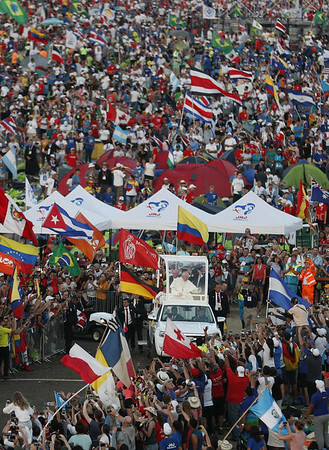 The theme of World Youth Day in Panama was: “I am the servant of the Lord. May it be done unto me according to your word.” (Luke 1:38). 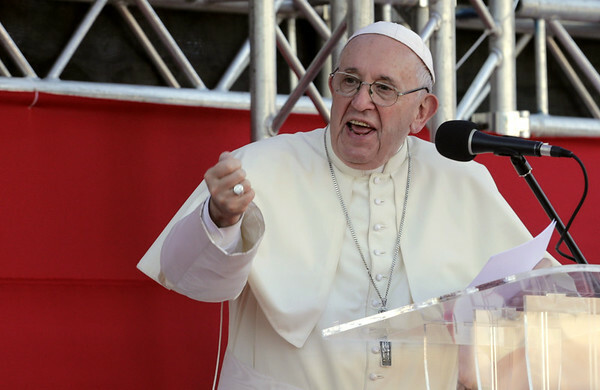 English translations of the guest speakers and Pope Francis were available on radio. Pope Francis spoke of the promise of the future and encouraged the youth and others present to dream and build the future of the church today, not isolated but as a greater church, together. He said all must walk together in love and that it is only those who are loved who can be saved. Posted in The Bristol Press, Bristol on Wednesday, 6 February 2019 20:25. Updated: Wednesday, 6 February 2019 20:28.